Tinuku - Zomato’s newest investor Ant Financial has secured the right to become the largest shareholder in the restaurant discovery and food-delivery platform, replacing Info Edge, as the Chinese payments giant aggressively seeks to expand its presence in India. The agreement is a part of Ant Financial’s US$200 million investment in Zomato in February, as per its updated Articles of Association, that also gives the Chinese company greater say as compared to other shareholders over the food-tech firm’s operations. Shares for Ant Financial can also be subscribed to by its parent firm, Chinese e-commerce giant Alibaba, the documents show. The right is valid for 1-3 years since that investment round’s closure. Ant Financial, popularly known as Alipay, has the right to subscribe to the shares at “fair price” and in stages. India is becoming a proxy battleground for the world’s biggest internet companies such as Alibaba, Tencent, Amazon, Google and Facebook. While the US internet giants have direct operations in India, many Chinese companies have opted to be minority shareholders in local companies. Ant Financial holds 20-22% stake in Zomato, and Info Edge, the Indian company’s earliest backer, about 31%. Zomato cofounders Deepinder Goyal and Pankaj Chaddah, who recently exited the company, together own 14-15% stake. The Chinese company will also have a say over how Zomato expands and forms partnerships in strategic areas such as payments, online-to-offline (O2O) services and e-commerce. This is under affirmative rights Ant Financial holds requiring Zomato to seek its approval on such matters. Venture capital investors and entrepreneurs said such clauses are becoming a part of the deal-making process where strategic investors are involved, and may not be exercised to the detriment of the company. This happens globally where strategic players don’t want their portfolio companies to compete with them or their companies globally. It is a fact that to get big names on board, Indian internet firms have to give big rights. The fact that they are investing with a smaller shareholding, to begin with, reflects a larger strategy with a possible acquisition over the long-term. As per the affirmative rights, Zomato cannot enter a market where the ‘Ant Ecosystem Wallet’ is absent, or exit a market where the ‘Ant Ecosystem Wallet’ is present, without the approval of Ant Financial. The ‘Ant Ecosystem Wallet’ is any electronic wallet or mobile money business operated by a company in which Ant Financial owns at least a 15% stake. Also, Zomato will have to restructure its operations in Australia, New Zealand and Southeast Asia within 180 days if legal or regulatory issues prevent it from doing business with Ant Financial or its affiliates in those geographies. These rights are specific to Ant Financial and are over and above the rights held by Zomato’s other investors, including Info Edge, Sequoia and Temasek. Zomato is currently in talks with multiple investors including Ant Financial and Chinese online travel agent Ctrip to raise about US$400 million as competition with Swiggy intensifies. 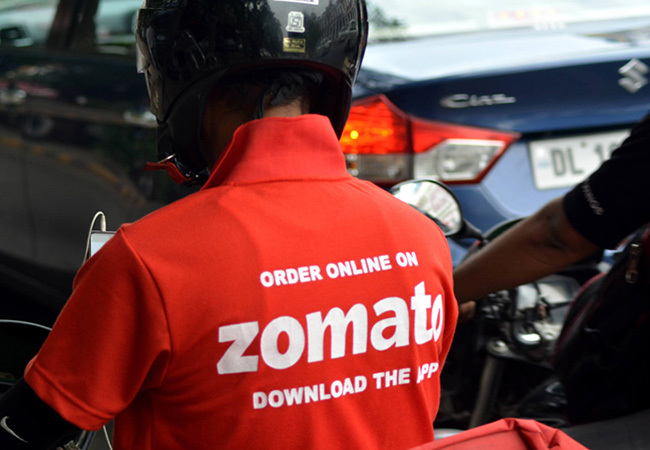 Experts said rights held by various investors are up for negotiation in each round of funding, and Zomato or its new investor could change these terms in the future. The development comes at a time when the founders of several other internet companies are looking for ways to retain control even while their shareholding is diluted. In companies like Facebook and Google in the US, the founders have differential voting rights, where they get additional votes for every share they own. The founders of Ola, India’s largest ride-hailing company, started pushing for stronger rights in 2016 as investors in companies like Flipkart and Snapdeal began effecting changes the in management and forcing them to consider consolidation deals. Ola's founders had negotiated an agreement where investor Temasek will vote with them on company matters. They have also changed the AoA of Ola last year to curtail rights of the largest shareholder, SoftBank, in increasing stake in the company.